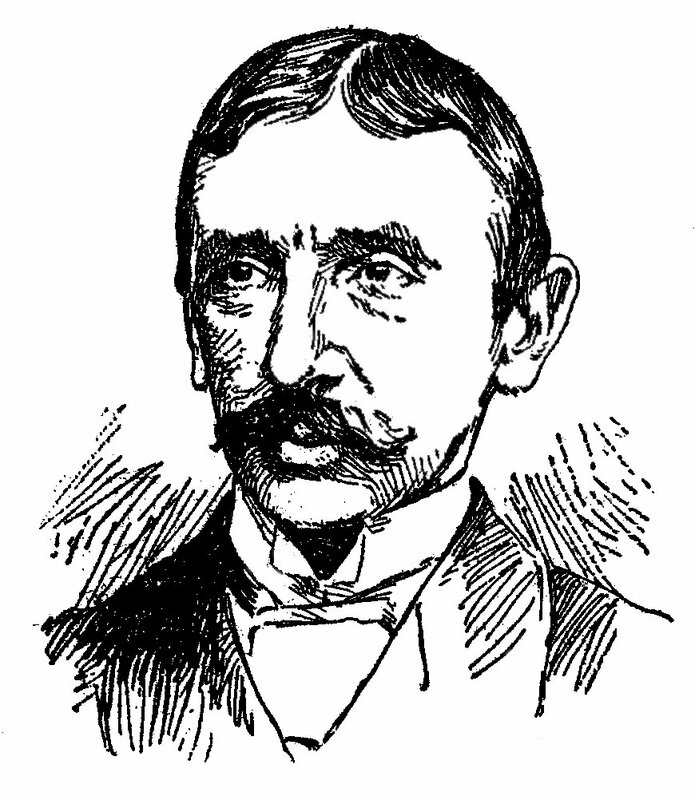 John Stewardson was born in Philadelphia in 1858. He briefly attended Harvard University before traveling to Paris, France, in 1879 to study architecture in the Atelier Pascal at the École des Beaux-Arts. After his return to Philadelphia in 1882, Stewardson worked in the office of Theophilus Parsons Chandler as well as in Frank Furness’ architectural firm. In 1885, after another trip to Europe, this time with Wilson Eyre, Stewardson settled in Philadelphia to form the firm of Cope & Stewardson. His partner, Walter Cope, had been a childhood friend and the two had both worked in Chandler’s office. In their first five years together, Cope & Stewardson designed more than two hundred buildings, attempting to correctly apply past styles for modern needs. The partners became masters of the Collegiate Gothic style, greatly influencing American collegiate architecture with their designs for buildings at Bryn Mawr College, Princeton University, Washington University in St. Louis, and the University of Pennsylvania. As a prominent Philadelphia architect, Stewardson was a founding member of the T-Square Club, and served for a time as its president. Stewardson’s other connection with Penn was as a member of the architecture faculty from 1892 until his death. John Stewardson died after an accident that occurred while skating on the Schuylkill River in Philadelphia. On the day of his funeral, all members of the Philadelphia Chapter of the American Institute of Architects closed their offices so that they could attend the service. In his memory, the John Stewardson traveling scholarship was established. John Stewardson’s younger brother, Emlyn Lamar Stewardson, who had joined the firm of Cope & Stewardson in 1887, became a partner in the firm of Cope & Stewardson after the death of John.